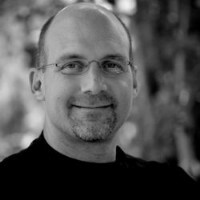 Mr. Monty G. Myers is the founder and CEO of Eureka Software Solutions Inc. Eureka is a leading project-oriented, custom software development company based in Austin, Texas. The company has built software products and business solutions for a client list including members of the Global 1000, Fortune 500, notable private companies, and numerous start-up organizations. Eureka has a highly successful track record providing state-of-the-art software solutions on a variety of technology platforms. Mr. Myers is a practicing industry expert. • Equally comfortable in either a consulting or testifying expert role. • Proficient at giving depositions and offering in-court testimony – hearings and trial. • Experienced in assisting counsel with the taking and defending of depositions, reviewing and challenging the testimony of others, and preparing and implementing an overall trial strategy. • Adept at taking highly technical material in the software field and effectively communicating it to a judge or laymen in terms they can understand. • Ready availability of Eureka’s experienced team of software developers and IT forensic specialists as needed to analyze or recreate a relevant software or hardware platforms or scenarios. • Direct access to and familiarity with proprietary and licensed tools and software to assist with code analysis and performance testing, load testing, data recovery and extraction, metadata review and management and e-discovery. • Source code review and comparison of source code form and functionality in relation to copyrights, contractual commitments and requirements, and/or protected intellectual property including, trade secrets, copyrights and patents. • Computer/software forensics – able to reverse engineer and reconstruct hardware and software environments from backups, remnants and fragments of historical software. Eureka IT and Software development team is skilled at re-creating past hardware and software environments. • Investigation and assessment of software project bidding, planning and performance with particular attention to adequacy of discovery, specifications, cost estimates, schedules and deliverables. • Functional and performance testing of software against applicable specification, warranty or industry standard using proprietary and commercial testing tools and techniques. • Evaluation and use of both traditional and cutting edge software development techniques and strategies, including creative payment structures related to software application/effort valuation and intellectual property licensing and ownership. Mr. Monty G. Myers is proficient at giving depositions and offering in-court testimony – hearings and trial. He is experienced in assisting counsel with the taking and defending of depositions, reviewing and challenging the testimony of others, and preparing and implementing an overall trial strategy. Also adds significant value in helping legal counsel and the court understand complex software, source code and other technologies. Provides software source code review and comparison to assist attorneys in patent, trade secret and copyright cases. • Currently active software industry executive with 30+ years experience. • Involvement in all aspects of the daily management and operation of Eureka, including business development, contracts, customer relations, project scope, strategy and management, hiring and finance. • Negotiated and performed hundreds of real-world software and technology contracts and statements of work involving complex software project and licensing terms and conditions including material intellectual property aspects. • Actively engaged in handling protecting the confidential, proprietary and trade secret information and technology of Eureka and its clients. • Custom software development company founded in 1986. • Client list includes Global 1000 and Fortune 500 companies covering a wide range of industries from transportation and energy to manufacturing and healthcare. • Services cover full spectrum of legacy, current and emerging development platforms. • Microsoft Certified, and equally experienced in Java/Open Source and embedded systems, as well as a number of other technologies and applications. • Profitable and award winning company for more than two decades under Mr. Myers’ direction. •	Special master and advisor to arbitration panel and parties in a software trade secret arbitration under the large and complex case rules of the American Arbitration Association. •	Consulting expert in several additional patent infringement cases involving the analysis and charting of complex patent claims and the assessment of whether a product or process infringes such claims, including for a major broadcast media conglomerate. “Monty Myers was a key witness in a recent complex case involving a software development project. His reconstruction of previous versions of the software was critical for the jury's understanding of our case. Monty is an excellent communicator and has the unique ability to explain advanced technical issues in simple terms that jurors understand. The major reason for our success at trial was due to Monty Myers' testimony."